Just about everyone has heard of the Mayan calednar ending on December 21st, 2012, but most didn’t catch the fact that yes it ends, but as it is with all their calendars (they have numerioud calendars!) it is only marking the ending of a *cycle* not the end of the world. 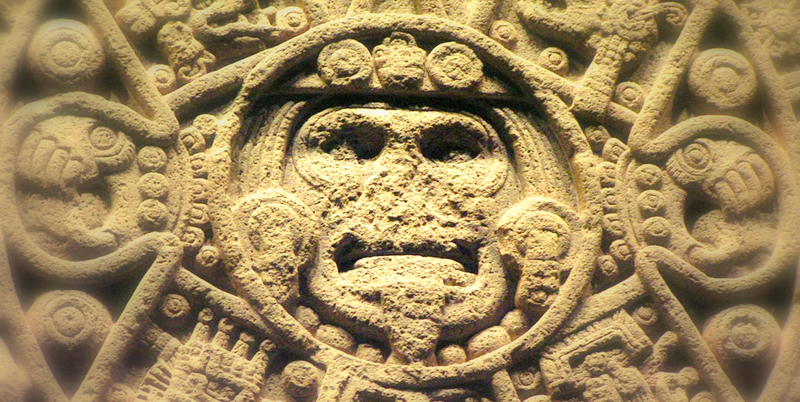 The time keeping system of the Mayans, called the Tzolken or Long Count, is a combination of several cycles that meshed together, marking the movement of the Sun, Moon and Venus. Each calendar measures a longer and longer cycle, with the longest cycle encompassing roughly 26,000 years, specifically 25,765 years, based on the cycle of the Pleiades and the Precession of the Equinoxes. The Tzolkin, or Long Count calendar is basically a calendar which describes the “Great Cycle” – lasted for a period, days or 5125.37 yeThe calendar that is ending on Dec 21st has a period of 5125.37 years, which is 1 fifth of the precession of the equinoxes complete. The Mayans themselves continue to tell us (though it seems SO MANY have not gotten this message) that the world will NOT end, that is not what their calnedar measures. Rather they do view this cycle ending to signify a shift within the human race/consciousness. This is why so many people following a spiritual path gold deep significance for this date. We are experiencing changes in our lives- most of them for the better though in some cases it happened quite abruptly and perhaps in a challenging way, but in retropsect those say it was meant to be for it got them on a better, more fulfilling path. Many of us feel oursleves becoming more aware and in tune with energies and those around us. We do not feel this is coincidence, but all synchronistically occuring as humanity moves though a collective shift, jumpstarting our evolution in consciousness, a consciousness more in tune with energy and our Divine and connected nature. There is nothing to fear. I’m quite excited about the possibilities of what we can create for ourselves here on earth.